Quick overview One of the keys to a happy and creative classroom is getting out of it and this book will give you the confidence to do just that. One of the keys to a happy and creative classroom is getting out of it and this book will give you the confidence to do just that. 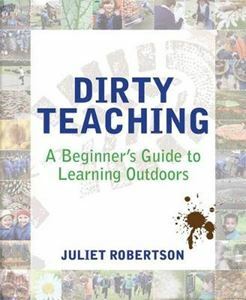 Drawing on academic research, Juliet explains why learning outdoors is so beneficial and provides plenty of tips and activities to help you integrate outdoor learning into your teaching practice, providing a broad range of engaging outdoor experiences for your students. There is no need for expensive tools or complicated technologies: all you need is your coat and a passion for learning - oh, and you'd better bring the kids too! Topics covered include: forest schools, learning outside the classroom, outdoor education, nature activities, caring for the environment, play in schools, investigative play, urban outdoor activities, problem solving, creative thinking and strategies for supporting curriculum objectives. For all primary practitioners who want to shake up their usual classroom routine and discover the benefits of teaching outdoors.